Life is as dear to a mute creature, as it is to man. Just as one wants happiness and fears pain, just as one wants to live and not die, so do other creatures. Most people have experienced the heartbreaking thud of a bird hitting a window. Or maybe we’ve observed a territorial bird pecking at its reflection in glass or a mirror. Why does this happen? Unfortunately, birds have no concept of glass. They may see their reflection and fight with the image they see. Or, reflected trees and sky, a tempting potted plant seen through glass, or a view straight through the building or glass balcony railing can trick birds into thinking that they can sail through to the other side. Birds that do not die on impact can go into shock, become easy prey for predators such as cats. Canadian research¹ estimates 25 million birds fatally collide with windows at low, mid and high-rise buildings annually. Download our PDF brochure for more information about how you can make your home safe for birds. What can you do to help keep birds safe? Windows are everywhere: in our houses, cottages, condos, apartments and even balconies. For spring and fall migrating birds, glass can be deadly. Separate visual markers by spaces no more than 10 cm (4 inches) apart vertically or 5 cm (2 inches) horizontally that cover the entire window. To keep smaller birds, such as hummingbirds, creepers and kinglets safe, windows should not have reflective openings larger than 5 x 5 cm (2 X 2 inches). 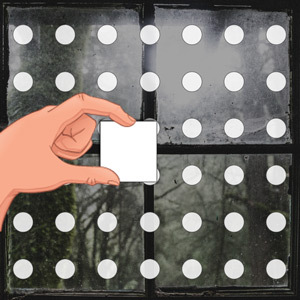 Apply visual markers to exterior surface (first surface) of glass to disrupt the illusion of a safe, natural environment reflected in the glass. Make markers stand out in contrast to transparent or reflective exterior surfaces, such as windows or marble walls, and under varying weather conditions. A visual marker should be no less than .32 cm (1/8 inch). To learn more, visit flap.org/residential. Use this visual as a guide. Place over various areas of your treated window. If no markers can be seen, the spacing is too big. Uniformly cover the outside of windows with a contrasting pattern of any shape, keeping these visual markers no more than 10 cm (4 inches) apart vertically or 5 cm (2 inches) horizontally. To help make your marker pattern less visible to people, while perhaps helping to keep smaller birds safe, such as hummingbirds and kinglets, a window must have no reflective openings larger than 5 x 5 cm (2 x 2 inches). There are a variety of exterior shades to choose from including patterned ones made of mesh mounted on the outside of your window with strong hold suction-cups that allows you to to have a clear view out and total daytime privacy. Position your bird feeders and bird baths half a metre (1.5 feet) or less from your windows. Over this short distance, birds cannot build up enough momentum to injure themselves should they hit your window. The closer the feeder to your window, the better for the birds and your viewing. Install externally mounted window screens using window mounts or suction cups. Prefabricated decals can be used as bird deterrents, however, to be effective, any decal must be spaced as described in our handy visual guide. Hang ribbons or strings on the outside of your windows 10 cm (4 inches) apart. Apply effective patterns on the outside of your windows. Perforated window film provides some of the best results for reducing collisions. From the outside this film looks opaque and dramatically reduces window reflection and transparency. From the inside, this film looks like a window screen. This preserves your view and the flow of natural light into your home. Use tape to create patterns. Any opaque tape can work, but translucent ABC Bird Tape transmits light and is made to last outdoors. Note: BirdSafe and FLAP Canada do not endorse or recommend any commercial glass product or manufacturer, therefore, mention of commercial products on this website cannot be construed as an endorsement or recommendation. BirdSafe recommends consultation with glass manufacturer representatives for answers to your specific questions on price, quality, etc. or to request a quote for any window treatment. To help prevent injury or risk of collision, place birdfeeders and/or birdbaths less than a half metre (< 2’) or closer from your windows. Over this short distance, birds cannot build up enough momentum to injure themselves should they hit a window. The closer to your window, the better it is for the birds and your viewing. Interior houseplants attract birds and may deceive a bird into flying into the plants. Instead, it flies into the glass. Move houseplants away from windows, and install blinds to be drawn during the day with slats turned open. Plant native trees, shrubs and flowering plants in your yard to provide food, shelter and nesting areas for birds. Visit the North American Native Plant Society (nanps.org) for tips. Exterior screens in front of windows help reduce the risk of birds colliding with windows by muting the reflective qualities of glass. This is only effective for those windows with screens. All uncovered glass remains a threat. Bird collisions increase dramatically when windows are sparkly clean. Even minute dust particles on windows help reduce the reflective qualities of glass. Should a bird hit your window, gently place it inside an unwaxed paper bag or cardboard box firmly secured. Place it in a quiet location away from people and pets. Do not give the bird food or water. Contact your local wildlife rehabilitator for further instructions, or visit flap.org/find-a-bird for more information. Visit helpbabybirds.ca for more information. Grim, we know. But if you should find a bird injured or dead by a window collision, you can contribute to bird behaviour and species research by reporting the incident on our mapper, a global mapping database. As we collect data, eventually, we’ll be able to determine where there is a concentration of collisions (a “hot zone”) and what makes a building, corner or intersection particularly deadly.